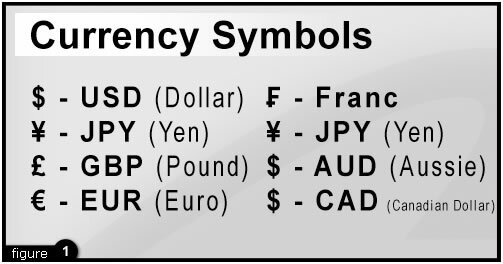 Most currency transactions involve the "Majors" consisting of the British Pound (GBP), Euro (EUR), Japanese Yen (JPY), Swiss Franc (CHF) and the US Dollar (USD). Many traders are beginning to add the Canadian Dollar (CAD) and the Australian Dollar (AUD) to this category as well. 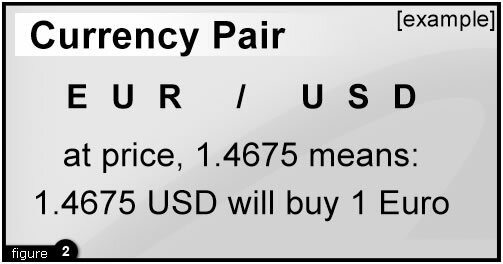 Currency pairs that do not include the US dollar are referred to as Cross Currency Pairs. Cross Currency trading can open a completely new aspect of the Forex market to speculators. Some cross currencies move very slowly and trend very well, ideal for beginning traders. Other cross currency pairs move very quickly and are extremely volatile; with daily average movements exceeding 100 pips. Speculators might utilize cross pairs as a means of portfolio diversification. An example would be an investor whose portfolio is primarily comprised of US based stocks and bonds who wants to diversify into foreign markets. Holding carry trades in cross currencies might be a good option for this type of investor. Many of these cross currencies also offer greater return potential with enhanced interest (also referred to as swap, rollover interest or carry forward interest) that can be paid on open positions. Swap is a credit or debit as a result of daily interest rates. When traders hold positions over night, they are either credited or debited interest based on the rates at the time. Often, cross currencies yield higher interest rates than do major currencies and are traded for the purpose of collecting said interest.